While some married couples might not be too keen on the idea of working together, the concept has yielded marvelous results for indie folk duo Jenny and Tyler. 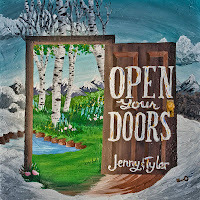 With Open Your Doors, their 4th full length release, Jenny and Tyler have once again created an authentic and organic collection of uncluttered songs that are full of gratitude, redemption, confession and reflection. Both are proficient vocalists and talented multi-instrumentalists, which gives Open Your Doors a unique sound and an intimate and eclectic vibe. While their tight him/her vocal blendings encompass both confident and vulnerable moments, the overall lyrical themes throughout the album play on both sides of that same coin as well. Open Your Doors is rich with vertical songs of worship and horizontal songs of encouragement, creating a cool "all access" invitation to anyone who'll lend an ear. If being able to make this type of album even just once in your career is a gift, being able to do it four times in a row is a down right windfall. Open Your Doors consists of 12 transparent songs of heart-on-sleeve honesty that hits the heart and ears in a refreshing way. There's no facade or artifice of "got it all togetherness" in Jenny and Tyler's songs. Instead, you'll find an uncalculated candidness in songs like "Little Balloon," "Fear Thou Not" and "Kingdom of Heaven." Songs like "When Darkness Falls" and "Psalm 86" have such an openness to them that it feels like you've stumbled upon a journal entry or a personal letter. Musically, the songs are upheld by a foundation of acoustic guitar and piano, with flourishes of strings, xylophone, mandolin, drums and more adding depth throughout. There's even two instrumentals, "Lament" and "Selah," that offer a nice melodic moment of pause in the middle and at the end of the album. However, I think the song on Open Your Doors that best envelops the Jenny and Tyler experience is "You Keep Loving Me." Recorded live in a forest clearing with a flock of birds providing hallowed background vocals, "You Keep Loving Me" is a beautiful confessional that pits feelings of inadequacy and isolation against an unrelenting love. It's a powerful moment filtered through just a voice and a guitar and the outcome, much like the entirety of Open Your Doors, is as astounding as it is arresting. 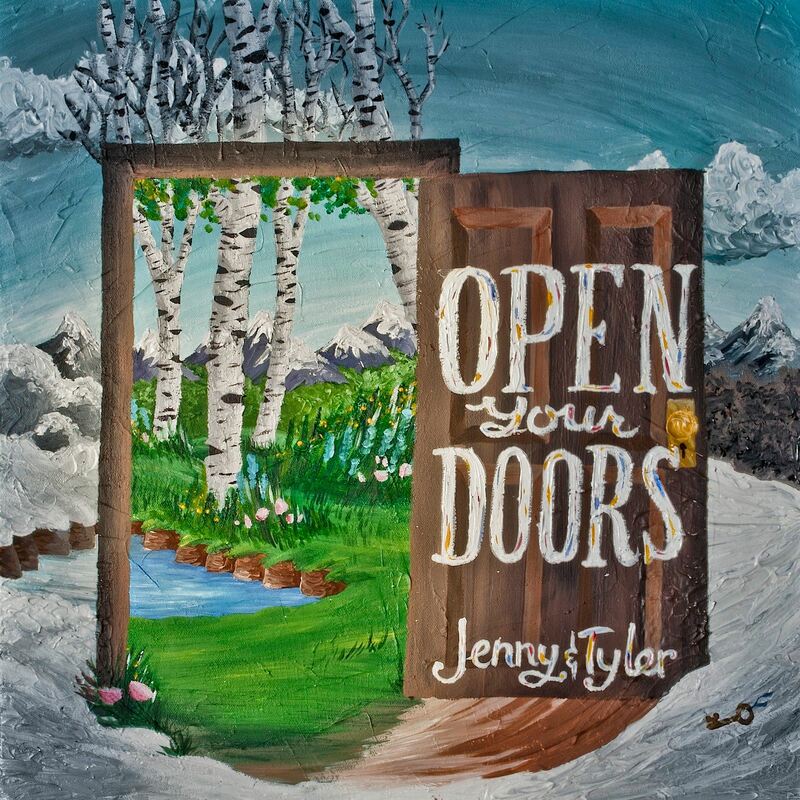 Open Your Doors can be purchased from all major digital distributors or directly from Jenny and Tyler HERE.